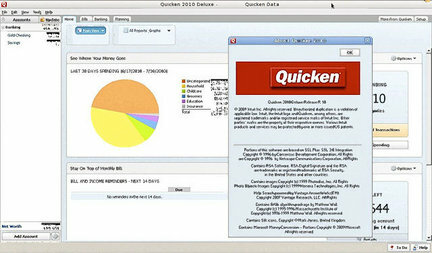 Screen capture courtesy of Intuit QUICKEN 2010 is shown running under CrossOver. Both CrossOver Mac and CrossOver Linux can run the latest version of Quicken with few problems. Intuits Quicken financial software is highly regarded and widely used by the Windows crowd. Unfortunately, Intuit botched the Mac version of Quicken by taking away some of the most important features of the Windows program. 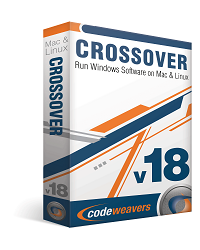 The software is called CrossOver Mac, from www.codeweavers.com. You can download a trial version at no cost. CrossOver Mac and its companion product, CrossOverLinux, are based on a long-standing project called WINE. The WINE project is a volunteer effort that creates a Microsoft-like underpinning that runs Windows software without the need for Windows itself. Not all Windows programs cooperate with WINE and CrossOver. Codeweavers, which runs the CrossOver project, keeps a list of popular Windows software that runs under CrossOver at www.codeweavers.com/compatibility. 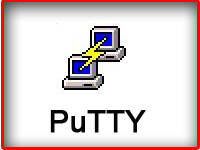 Windows programs are ranked in categories of Gold Medal (programs that run just as well as they do in Windows), Silver Medal (programs that Codeweavers is working on to eliminate a few bugs) and Bronze Medal (programs with partial usability). If you're a Quicken 2010 user and recently switched to the Mac, you can install your present copy of Quicken 2010 on your new Mac after you install CrossOver Mac. You may need to contact Intuit if the software complains that it has been installed on more than one computer. 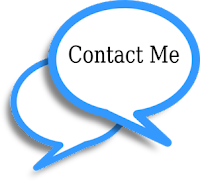 Intuit will arrange for reinstallation permission.